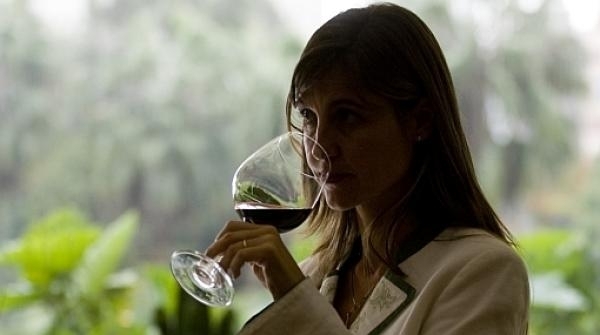 According to a study by scientists from Israel, a small amount of alcohol can help lowering the inhibitions of people, a fact that is already known by many, but as a result of this study was also discovered that it can enhance the sense of smell considerably. For the study, 20 volunteers participated in some odor detection tests, which consisted mainly of smelling three different liquids. Two liquids were a mixture of the same six odors, while the third liquid had one of the odors replaced. Each volunteer had two seconds to smell the fluid and detect which of them had this different ingredient. One group drank 35ml of vodka and the another, fruit juice. People with alcohol in their blood had a better ability to detect and differentiate between the different smells that those who consumed fruit juice only. ?If we knew more about the mechanisms that caused this inhibition, then it might shed light on why some people lose their olfaction, and that can be useful for some types of olfactory loss?. This emerges as a kind of therapy for recovery and improvement of the ability to smell, according to Endevelt. Alcohol present particularly in red wine, has been associated with many health benefits, primarily due to the presence of resveratrol, found in the skin of red grapes, an accredited compound that reverses the effects of aging, in addition to protecting against heart disease, that many people use in beauty treatments, and as a new way to maintain a healthier lifestyle and a healthier look. Today the benefits of alcohol consumed in moderation are increasingly known, and the predisposition to alcohol consumption that some people had in the past is now often defeated. As a big fan of Asian countries and lifestyle in today’s post I want to talk about drinking in the oriental hemisphere. Many of us have visited Asian countries and confess to be addicted to local food but what about drinking alcohol in this part of the world? 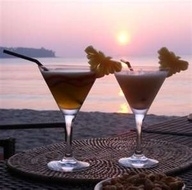 Are there any drinks in Asia people are fund of that have not been exported to other countries yet? Or let’s say any drink that should be taken just on one specific spot and nowhere else. One of the most famous drinks in Thailand is Rice wine, a beer brewed from glutinous rice that is similar to japanes Sake. It is sold nationwide under the brand Siam Sato. 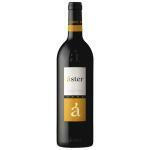 Although it is called wine, it is actually more similar to beer. It is cheap and potent, but be careful, you might regret it the next morning. On a trip to China you shouldn’t forget to try Baijiu, a distilled Chinese alcoholic beverage. Its name literally means “white liquor” and it has about 40 – 60% alcohol by volume. Baiju is quite challenging for the western palate, but once you got used to it you might love it. It has been described as similar to grappa although the Chinese usually prefer to take it warm. For sure a thing that really causes impression are snake wines. They can be found in China and Vietnam and in many other countries in Southeast Asia. Snake wines are alcoholic beverages with venomous snakes inside. According to traditional Chinese medicine this drink with snake venom dissolved in liquor is able to cure different health problems as backpains, lumbago, rheumatisms and many more but they are also considered as aphrodisiacs. Snake venom is of course denatured by ethanol. Imagine drinking a spirit with a real cobra or scorpion inside? Are you scared just thinking about it or you always wanted to try it? That’s up to you on your next trip to Vietnam! Korea is known for its “wet” drinking culture that is similar to Finland or Russia and sadly as well for the frequent alcohol abuse of its citizens. It’s common walking around the streets and running into a well dressed bussiness man lying on the middle of the street completely smashed. Drinking is somehow part of the work culture and if you want to be accepted by your boss or employees you should never refuse drinking with them, often a lot, until the point you just forget your own name. 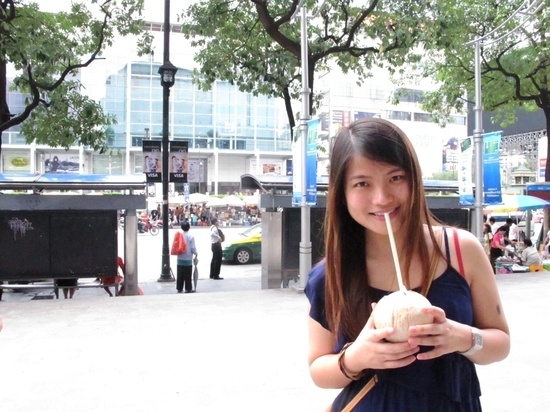 Makkoli is a famous Korean drink, that is a little bit softer and therefore more recommended. It is a milky beverage with a kind of bitter sweet taste and it is drunk from a small bowl. Its alcohol content is about 7%. 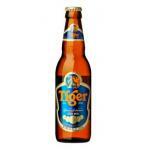 Tiger Beer, the beer of Singapore. Nikka Miyagikyou Single Malt, a japanese whisky. Drinks and poetry have always been linked and people dare to say that it was alcohol that inspired some of the greatest poets and writers of all times. Alcohol may have an influence on creativity but for sure what doesn’t make Shakespeare and Co fall into oblivion was their great talent. (or we want to believe that!) Anyway, as expected, also poets and writers had their preferences in drinking. Some of their favourite drinks became so famous that even now and in many cases after their death, we are ordering them in bars without remembering their history. Let’s start with the excellent poet Robert Burns who developed a great passion for Scotch whisky during his short life. As a real Scot, he even dedicated the poem “The Author?s Earnest Cry and Prayer? to this drink while he was writing the book “Freedom and whisky gang thegither!?. Unfortunately in some cases alcohol has led poets into misery and what was a pleasure for them at the beginning, converted into a battle they were likely to loose. Jim Morrison or American novelist Jack Kerouac have shown us that alcohol addiction is a serious problem. The lead singer with the the “Doors”, who died from a suspected heroin overdose at the age of 27, used to have a taste for alcohol as well. As he confessed, he was addicted to Whisky, especially Jack Daniel’s. ?It?s like gambling somehow. You go out for a night of drinking and you don?t know where you?re going to end up the next day. It could work out good or it could be disastrous. It?s like the throw of the dice,? Morrison used to say once. In his case it was rather disastrous. American novelist Jack Kerouac’s destiny was somehow similar. The so called “king of the beat generation” used to affirm that he was a “Catholic and not a beatnik”. Alcohol became his “ecstasy of the mind” , a drug that killed him at the age of 47 after a long struggle against alcoholism. Charles Bukowski was born in Germany and died in California at the age of 73. He used to love alcohol and throughout his life he wrote thousands of poems and quotes involving alcohol. His most famous quote is ?That?s the problem with drinking, I thought, as I poured myself a drink. If something bad happens you drink in an attempt to forget; if something good happens you drink in order to celebrate; and if nothing happens you drink to make something happen.? 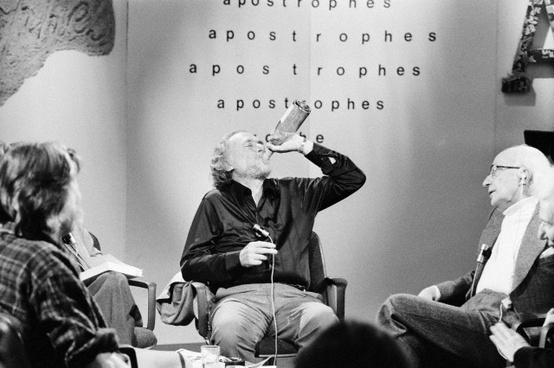 Bukowski’s favourite drink was Boilermaker, a beer with a shof of Bourbon in it. When talking about writers and poets we should not leave out Oscar Wilde. As Toulose Lautrec, Van Gogh and other artists he was an absinthe drinker but he also enjoyed other drinks as whisky and Champagne. He didn’t use to listen to his doctor’s orders when he told him to renounce to a glass of iced Champagne. And what about you? What’s your favourite drink you would never renounce to? We want to give you some recommendations. 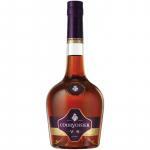 Courvoisier 1L, an authentic pleasure. 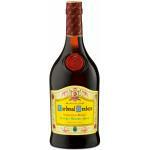 Cardenal Mendoza, a great Spanish Brandy. The most common opinion about alcohol and diets is that drinking makes you fat and in most cases alcohol is forbidden when you’re on a diet. Said in that way, this is not totally true, as it is the combination of alcohol and sugar that makes it dangerous. Therefore a cocktail or a glass of sangria have as twice as many calories as a glass of wine. I would like to give you more informations about the topic so that you don’t have to refuse a glass of your favourite wine on a night out with friends. 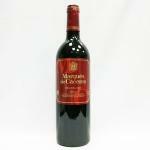 Did you know that red wine can help you loosing weight? Scientists of the ?Harvard School of Public Health? in Boston have discovered that a regular alcohol consumption doesn’t make you gain weight. 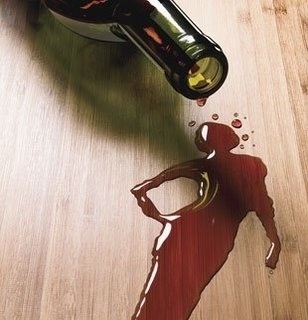 For study purposes, a group of average weight women of the age of 38 drank 2 or 3 glasses of alcohol on a daily basis. Result of the study: The women who drank alcohol didn’t weight a gram more than those who didn’t drink alcohol at all during these years. On the opposite: The ones who drank wine or distillates stayed slimmer than those who didn’t drink any alcohol. Men have bad luck as this study is not valid for them. They are likely to gain weight in any case and should better not drink excessive amounts of alcohol. As the mentioned study states, red wine is the most indicated drink for a diet, while beer and spirits are not that convenient. In any case, we shouldn’t exagerate with drinking because alcohol in big amounts slows down the fatburning process and makes you hungry. Who hasn’t experienced eating like a pig at a fast food restaurant in the middle of the night in an inebriated state? And with that everything is said. According to a recent study published in the International Journal of Obesity and Related Metabolic Disorders it is a fact that alcohol stimulates our appetite. A group of male test persons ate more when the meal was accompanied by a beer or wine rather than by an unalcoholic drink. Therefore we can state that the famous appetite produced by alcohol is not a myth. In any case we want to give you some suggestions for red wines you should definitely try and if you are female they might help you to loose weight. 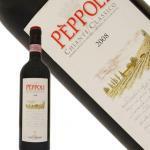 Peppoli Chianti Classico 2008, a special tuscan wine. Absinthe is a mythical drink, adored, reviled, and ultimately banned, hidden in a halo of mystery available only to connoisseurs. Absinthe was discovered in the late eighteenth century, and was believed to have medicinal effects. Absinthe is a distillation of herbs, among which have special importance – wormwood, anise and fennel -, but it is often combined in a recipe with other plants such as coriander, juniper or licorice. Absinthe is called the green fairy because it is considered a hallucinogenic beverage, capable of inspiring artists. Soon began to be known as the “green muse” or “green fairy”. In fact, its color can be crystalline, like other spirits. It takes a green color when chlorophyll of the plant itself is added to the distillate, and in general is already being sold in any color by adding colorants (including its own green). As most of these plants are shrubs of Mediterranean climate, the best absinthe distilleries are located in Valencia, Catalonia and the Balearic Islands and also in the area of Marseilles, France. For years the use of absinthe was only medicinal, and was offered to the French troops as an antipyretic. When troops returned from the front they continued consuming absinthe, which began to be dispensed in bars. And so the black legend began. The wormwood from which absinthe is distilled to be made is a poisonous shrub. It has a compound called thujone which has a similar effect to THC in marijuana, and consumed in large doses it is said to be hallucinogenic. In addition, a prolonged consumption of absinthe in time, just like marijuana, causes panic attacks and depression. To this we must add the high alcohol content that absinthe can reach (up to 82 ° after distillation, although it is normally diluted with water. The more traditional absinthe stay-at-40 °), which makes it a drinks highly dangerous, if not consumed in moderation. In the late nineteenth century the effects of absinthe were already known across Europe and became particularly fashionable in Paris in the environments of Bohemia. It is said that when Van Gogh cut off his ear he did it under the influence of this drink. The great painters of French Impressionism (Monet, Manet, Degas and Toulouse-Lautrec) were regular consumers and some of their work it is said to have been inspired under the hallucinogenic effects of absinthe. During his stay in Paris, Picasso met the absinthe of which was declared a devoted admirer. It was the most consumed and important beverage during the early twentieth century, and were also faithful to her other great artists such as Hemingway, Rimbaud and Baudelaire. Hemingway was a great abshinte drinker, and one absinthe cocktail took his name. But during those years there was a massive increase in suicides, especially among people of bohemian life, driven by rising existential crisis in the interwar period. Montparnasse bridges were the favorite places for suicide to jump into the void and to put an end to everything. The authorities, trying to find an explanation, quickly blamed absinthe. It was known that this drink caused-, depression and hallucinations in the long run, so it became the official cause of suicides. It was banned in France. Soon the prohibition was extended to most European countries except Spain and Portugal, where consumption was not as massive. Since it was not forbidden in Spain, distilleries were created who picked up the traditional recipe, and now they are producing the best quality absinthes on the market. In France, however, traditional brands like Pernod or Ricard quickly managed to develop alternative drinks such as Pastis, distilled from herbs up to 60 degrees but without the inclusion of wormwood. Over time, the ban has been rover in most of Europe and almost in all of the United States, since it is now known that side effects are more associated with high alcohol content of absinthe, and certain adulterations made at the time to maintain the high demand. Absenta Collector Mari Mayans: Mari Mayans is one of the distilleries who’s doing a great job to revamp the image of absinthe. The repackaged triangular bottle and the bright green of absinthe is accompanied, of a great aroma and flavor of herbs and anise highly perfumed. Excellent. Absinthe Hapsburg Gold Label 89.90º: The strongest Absinthe in the market. 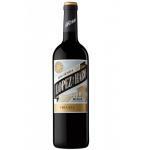 With nearly 90 degrees of alcohol, has a much lighter cyan color and reminiscent aromas as anise, toast honey. Powerful. Absinthe La Fee Nv: Another classic brand with a modern twist. In this absinthe you may notice more fruity flavors, green apple and pear. The most refreshing one. Absinthe has been the subject of debates and controversies almost since its creation. What do you think of absinthe? Have you tried it? You think its fair its fame of inspiring artists?